The end of an era! Well not quite. From Brazil we heard from the Diretoria de Marcas (INPI) that article 4 of Lei nº 13.284/2016 (Lei Geral das Olimpíadas -General Law of the Olympics), has ceased. This legislation set out the rules on the measures relating to the 2016 Olympic and Paralympic Games. Art 4 states that it is (was) a ‘temporary’ protection equivalent to that provided for in art. 125 da Lei nº 9.279 (Industrial property law), afforded to trade marks held by the Organizing Committee of the Olympic and Paralympic Games 2016. Indeed, the news clearly ends the special protection, given to the Olympic signs in Brazil, which were afforded by the general law of the Olympics - and we look forward to the next one. Where the INTA Leadership Meeting is leading? This year we had the largest Leadership meeting ever. The first time I attended this meeting was in Orlando 2012, we were about 800 participants, now in Hollywood we were more than 1200. Still smaller than the annual meeting but getting busiest. INTA is happy to see that their events are being so successful, with more attendees there's a higher income but from the attendee point of view the largest doesn’t mean the better. More people means less time to create real relations. Attending to this particular meeting is about reinforcing your relations with clients, colleagues and friends. The content sessions are ok if you don’t have something better to do but it is very hard to learn something new from them. And the committee work is very limited so you have a lot of time to hang out around the pool or the ocean. My committee meetings were as unproductive as previous years but the food was better. On the other hand, I was glad to hear from some of my colleagues that their committees were very active. I am not sure if they said it to be nice, look more professional or it is just me that I end up in the committees with lack of motivation. One of the announcements was the opening of a Latin America Representative Office in Santiago, Chile, in 2017. My impression is that the CEO of INTA, Etienne Sanz de Acedo is making a political campaign for an international position, probably he wants to be the next WIPO General Director, and he is using the INTA as a platform to achieve his objective. He is being very active in creating relations with many national trademarks offices, specially in Spanish speaking countries. He is probably looking for the support of these countries to have voters on the next WIPO elections. Remember that in his previous life he was an international bureaucrat, an ambitious one. This also explains why next year the Leadership meeting will take place in Washington DC, one of my favorites cities, but also a particular choice. Historically leadership meetings have taken place in fall on places with nice weather (Florida, Arizona and Panama). Attendees are happy when they have nice weather and since it is a social event the location should be chic. But most of the people I spoke to complained about the choice of Washington, “it will be cold and rainy” they said. it is clear that the CEO objective is not to take a sunbath, he will demonstrate in DC the political power that the Association and he has. I am sure we will have an interesting leadership meeting connecting mostly with political actors from the USPTO, the government and probably the Congress. Even though the negativity, I like the political focus of the CEO because I am attracted to politics but I am not sure if everyone is aware of the direction that the Association is taking. Thanks Alvaro, keep in touch. 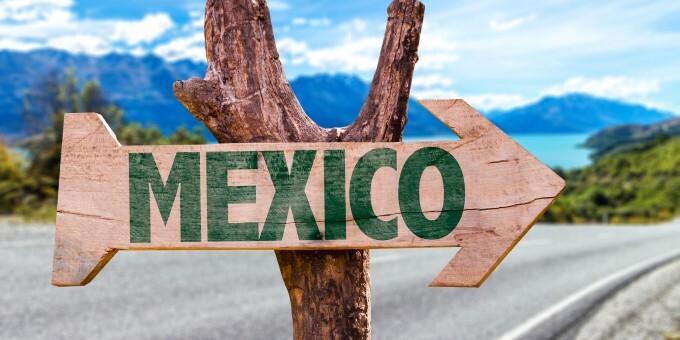 From José Luis Alvarez, Mexican Trademark Agent at Mexican Consulting & Development, SC, the blog received a newsletter about the (no so) recent updates in Mexico. Back in August 2016, the blog reported that at the end of the said month Mexico was to implement an opposition system in trade mark – the amendment to the law dated April, 2016. At that time, Mexico was one of the few countries which did not provide for trade mark opposition proceedings. “The amendment included in order to grant the opportunity to anyone who considers that an application violates the IPL´s provisions, to file an opposition within one month of the date of its publication in the Gazette. No extension of the one month opposition period is allowed. After that one month opposition period expires, a list of those applications that were opposed will be published in the Gazette within the following 10 business days. And while we are in the topic of trade marks, The Nice Classification - the international classification of goods and services applied for the registration of marks, is now in its eleventh edition - entered into force on January 1, 2017. December 2016 saw the last weeks of the year with the eagerness of some Latin American countries to start cooperating more. Therefore, future plans were discussed by PROSUR Directorship Committee. Back in 2009, WIPO received a letter signed by nine Latin American countries which have agreed on a regional project “to develop a common platform that allows the integration, exchange of information and system compatibility for the nine participating countries.” – known as PROSUR due to involve South (SUR) American countries. The patent national offices of Argentina, Brazil, Chile, Colombia, Ecuador, Paraguay, Peru and Uruguay had already started a Patent Prosecution Highway (PPH) pilot program.